With the last dying breaths of winter finally eschewing from the world it is once again time for spring. The melting of snow and the reemergence of flora reminds us that a new season is just around the corner. Instead of new life, however, we bring you tidings of new anime. This spring anime season sees the return of established fan favourites, alongside a fresh crop of new productions that are looking to capture your hearts and minds. So without further ado, here are the Shows to Watch this spring 2019 anime season. The newest production from Ufotable, the studio behind Fate/Stay Night: Unlimited Blade Works, and Fate/Stay Night: Heaven’s Feel, is an anime adaptation of the Shonen Jump manga Kimetsu no Yaiba. Set during the Taisho Period (1912 to 1926) in Japan, in which demons are said to roam the night, Tanjiro acts as head of the family in lieu of his deceased father. Until, the rumors hold true and Tanjiro returns home from work to find that his family has been brutally slain. Accompanied by his suriving sister—Nezuko, who has become a demon while retaining some of her human consciousness as well as the ability to communicate—Tanjiro becomes a Demon Slayer in his quest for revenge on those that have wronged him. 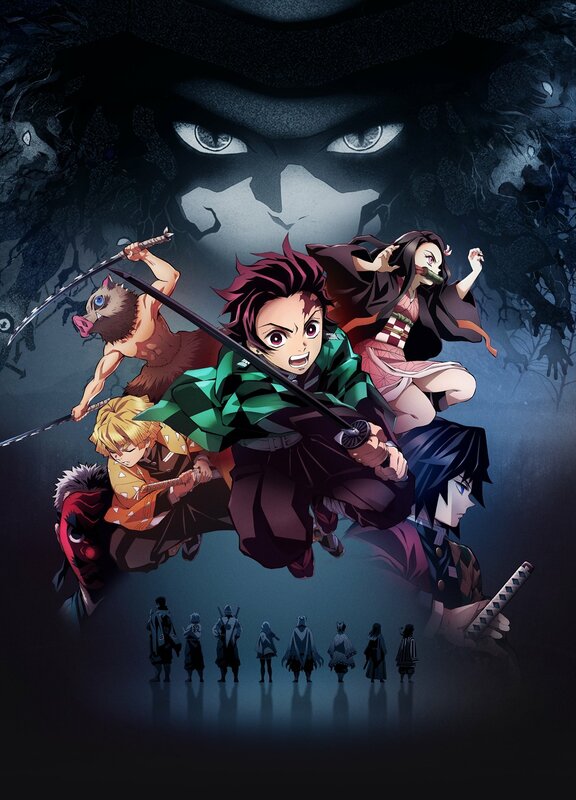 Filled with interesting characters and perilous sword fights, Kimetsu no Yaiba looks to be a great work for Ufotable to work their animation magic on, and hopefully give us another excellent adaptation we know they are more than capable of. One of Japan’s most iconic media properties is getting a Netflix anime adaptation, so I would be remiss to not include it on my watch list this season. Ultraman is a longstanding franchise in Japan’s tokusatsu genre and is well known throughout pop culture in the country. For those unfamiliar with what tokusatsu is, think old school kaiju movies like Gojira, or TV shows like Power Rangers. Tokusatsu is a live action TV genre that puts a heavy emphasis on action, special effects, and costumes. Ultraman first shows up in 1966, on the eponymous show in which our hero does battle against giant monsters and alien invaders. Now, decades later, this new Netflix Ultraman has a similar premise. Set after the events of Ultraman: Hikari no Kyojin, Earth has finally achieved a peaceful existence. With the memory of Ultraman now seemingly in the distant past, humanity looks to be the safest it has ever been. Thrown into chaos, the young Shinjiro Hayata learns that he has a special power: just like his father before him, Shinjiro can become Ultraman. Now its up to him to defend Earth from the oncoming alien invasion. This marks another original entry into Netflix’ growing library of anime titles alongside shows like Devilman: Crybaby and B: the Beginning. Hopefully this iteration of Ultraman is a project worthy of its predecessors’ namesake.